Fort Bute, Louisiana. Fort New Richmond in Baton Rouge. Fort Panmure in Natchez, Mississippi. Fort Tompson, Arkansas. Fort Amitch, Arkansas. Fort Charlotte, Mobile, Alabama. Siege of Pensacola, Florida. After the fall of theses British outpost, General John Campbell, Commander of the British Forces in the Gulf, concerned over the condition of the defenses, requested reinforcements, and began construction of additional defenses. 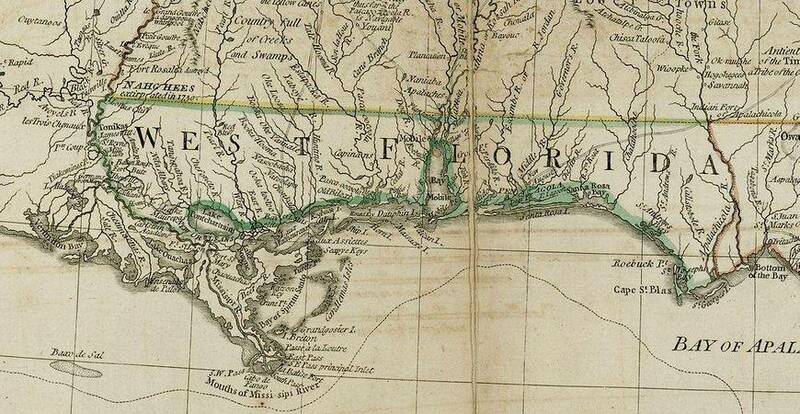 A huge Spanish/ French Army under Governor General Bernardo de Galvez laid siege to British at Pensacola. At first the British repelled the Spanish/ French Army but a lucky Spanish cannonball hit the powder room of the fortifications and huge explosion opened the way for the Spanish/ French forces to take the fort. On May 10, 1781, the formal surrender was complete. More than 1,100 British prisoners were taken and another 200 casualties sustained. The Spanish and French army took over 400 casualties. The terms of capitulation included the entirety of British West Florida. The 16th Foote surrender to the Spanish army. The 16th was then exchanged and was recalled back to Great Britain for refitting. Before the surrender, Capt. James Colbert was a company commander of the 16th Foote and he and some of his men escaped into British held Mississippi and Alabama. He and his men allied with the Chickasaw Indians to form raiding parties. Colbert’s new army would lead raids up and down the Mississippi River to stop trade on the Mississippi, but his campaign ended when his failed attack on Fort Carlos (Arkansas Post) 1783 failed. After the battle, Colbert and his British Partisans returned to Mississippi and the War ended. Reenactment of the Battle of Fort Charlotte, near Mobile Alabama.